A real-time space strategy with RPG elements developed by Paradox Interactive – the creators of such renowned series as Europa Universalis or Crusader Kings. The game is played in a procedurally generated interstellar space, where your job is to build a galactic empire. 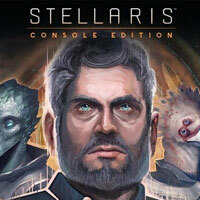 Stellaris is a real-time space strategy that was developed by Paradox Development Studio, the creators of the Europa Universalis series and the well-received Crusader Kings series. Stellaris allows players to freely explore the vast space filled with unique planets where all the star systems are procedurally created. The advantage of this solution is undoubtedly the huge diversity of the implemented world and the fact that each new expedition aimed at finding something new can bring unexpected results. The game allows the players to create their own intergalactic empire. We can choose from seven playable races, which differ in terms of ethics, appearance and unique skills. The development of our "kingdom" relies on one of the three major technological trends: society, engineering or physics. Our choice will define the direction in which our scientists will go. In the course of the game we also have the opportunity to form alliances with other political entities and use an advanced system of diplomacy, as well as initiate wars against foreign communities. There is no shortage of options allowing for creation of our own spacecrafts with unique traits and appearances that we can define ourselves. In Stellaris players encounter various types of civilizations – friendly or eager to fight, mature and already decaying, or very young, like ours. The game features thousands of celestial bodies, and therefore the possibilities of expansion and development are enormous. The production is complemented by atmospheric and detailed visuals, thanks to which the interstellar travel makes quite an impression. The long-awaited Stellaris has taken over the universe… and Steam. Devs from Paradox have created an amazing space 4X game. And despite some shortcomings, it’s hard not to get hooked on it. Stellaris is one of the nicest surprises we got at this year’s gamescom. Paradox Interactive is making a game in a science-fiction setting for the first time, but they do it brilliantly – Stellaris is a complex strategy that will blow you away.